30 July : Amidst tense moments, the nine- day WTO talks collapsed on Wednesday as India and China refused to come under the US pressure to yield on the issue of giving safeguards to farmers against surge in imports. "There is no use beating about the bush. This meeting has collapsed," WTO chief Pascal Lamy said. While India and China, the two fastest growing economies in the world, insisted on sufficient protection for their vulnerable farmers, the US -facing an economic downturn was not ready for a deal. Commerce and Industries Minister Kamal Nath expressed dissatisfaction over the collapse of the talks. "I feel disappointed that this has to be the end result. We have been running the miles for the last three years." "It is unfortunate that in a development round we could not move because of the issue of livelihood security. G 33 and the developing countries are concerned about the issues which affect the poor and subsistence farmers," he told reporters before going to the Trade Negotiating Committee (TNC) meeting. "My confidence in the institution of WTO remains intact. All work that has been put in will remain intact and we will take this up and move forward," he said. The blame game started on expected lines. 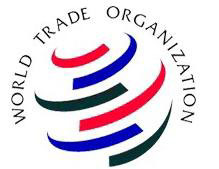 The US blamed India and China for creating hurdles in the ongoing WTO talks in Geneva and said Doha trade talks have been thrown into the "gravest jeopardy" by these two countries which are not willing to open their markets for more imports. Brazilian Foreign Minister Celso Amorim said, "it is unbelievable that we failed on one issue. It is not that the issue is not important for some countries but we could have taken up other issues also this was a collective failure and we should change the players in the team." EU Trade Commissioner Peter Mandelson said that talks were a "collective failure". "It is a real set back for the global economy at a time when we were expecting some good news. Negotiations have been long and complex but they were always at the risk," he said. United States Trade Representative Susan Schwab said, "We thought we had a deal on Friday and we were very optimistic. US is not prepared to give up on the multilateral system." "US continues to extend its support to the WTO and we will stand by our offers. We hope to find ourselves in a negotiating setting and there will be more ambition on the table," she said. Analysts said the Doha Round for opening the world trade, launched in 2001, faces uncertain future at a time when the global economy wanted a desperate push from a liberalised trade. This is for the second time that the Ministerial, though known as mini-Ministerial has collapsed.A full-scale Ministerial Meeting ended in a deadlock in 2003 when talks broke down on the last day at Cancun in Mexico.The WTO Chief did not put the onus of the failure of the talks on any particular nation. "There is no blame-game on my side. The members could not bridge the differences. They take a collective responsibility," Lamy told reporters after the meeting of the Trade Negotiations Committee. "Difference of position in volume of imports for trigger of SSM has lead to failure.. After 60 hours of trying to find bridges, it became clear that their difference were not reconcilable," Lamy said. He said members have let slip through their fingers a package worth over 113 billion dollars that would have accrued to them annually in tariff saving by end of the implementation period. "Of this, emerging countries would have benefitted about 2/3," he added.On the fate of the Doha Round, Lamy said whether and when this can be put back on track needs reflection. "We will wait for the dust to settle down and WTO members need to have a sombre look at if and how they will bring the pieces back together," he said.Terming the collapse as a serious setback, Lamy in his opening remarks said he had hoped to come to the meeting with "good news" since 23 of the 25 issues being discussed were ready for a final package.